Tens of thousands of Americans are harmed each year by the very medical professionals that are supposed to help them. Do you suspect an error in your case? You deserve to discover the truth. Our lawyers will work with top medical experts to determine if your case resulted from hospital negligence or other medical mistakes. When medical professionals fail to uphold the standards of their field, it can easily cause a patient to suffer further harm or even result in their untimely death. We know that many people find themselves suffering from the consequences of medical malpractice, whether they, themselves, are the victim or a loved one is. Medical malpractice can have devastating consequences for its victims, and substantial compensation may be necessary in order to assist victims get their lives back together. Fortunately, medical malpractice law often allows victims in these situations to get both the justice and financial assistance they need to deal with the consequences of a medical professional’s negligence. If you or your loved one has been injured or killed as a result of a medical mistake, it is important to consult with an accident lawyer immediately to protect your legal rights. Our medical malpractice lawyers have both the knowledge to litigate these claims and the experience to help our clients through difficult times.Our lawyers have extensive experience with malpractice lawsuits and are prepared to handle cases involving a wide range of factors. Contact us at (760) 231-6498. 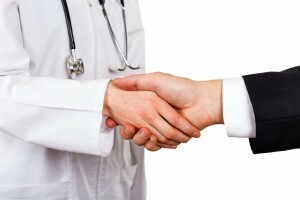 The Law Offices of Jonathan C. Capp is serving Medical Malpractice case clients in the following areas San Diego, CA, Escondido, CA, Carlsbad, CA, North County, CA and Coastal Area, CA.